Kevin Sabet has become synonymous with the opposition to marijuana legalization in the US. As a former drug policy adviser to the White House and co-founder, with Patrick Kennedy, of Smart Approaches to Marijuana (SAM), Sabet has long acted as a major counterpoint to pro-legalization groups like the Marijuana Policy Project and Drug Policy Alliance. But it’s been a rough battle for Sabet and SAM in recent years. Since 2012, four states and Washington, DC, have legalized marijuana by varying degrees, with Colorado, Washington, Alaska, and Oregon allowing retail sales and DC only permitting growing and gifting. The tide of victories appears set to continue: surveys show most Americans, particularly millennials, support legalization. I talked with Sabet about his opposition to legal pot, why it doesn’t prevent him from supporting decriminalization and more access to medical research, and whether he thinks legalization is inevitable. German Lopez: If you had to explain to someone who knows little about drug policy what your biggest problem is with marijuana legalization, what would you tell him? Kevin Sabet: My biggest concern is creating Big Marijuana — sort of like Big Tobacco, which we’re still dealing with the consequences of. Yes, marijuana has been used in Western and other cultures for a very long time. I always get emails when this sort of thing is printed, pointing out that marijuana was used in Chinese culture 3,000 years ago. But in terms of widespread use by the vast majority of the population, that is alcohol and, in the past century or two, tobacco. So we’re sort of stuck with those things. And I don’t think adding a third substance to be promoted by Madison Avenue is something that we want to do. German Lopez: Every drug policy expert I’ve talked to is worried about the commercialization of any drug, including marijuana. But if that’s your biggest concern, is there any sort of legalization model you could see yourself supporting? If you could sit down leading drug experts in a room to set up a legalization model in which states run dispensaries or only gifting and growing is allowed, is that something you could back? Kevin Sabet: Listen, if drug policy academics had a history of successfully transferring their theories and getting them adopted in governments, we might be having a different conversation. But I think Mark Kleiman, Jon Caulkins, and others in the field would be the first to tell you how frustrating it is to get their ideas heard by policymakers. 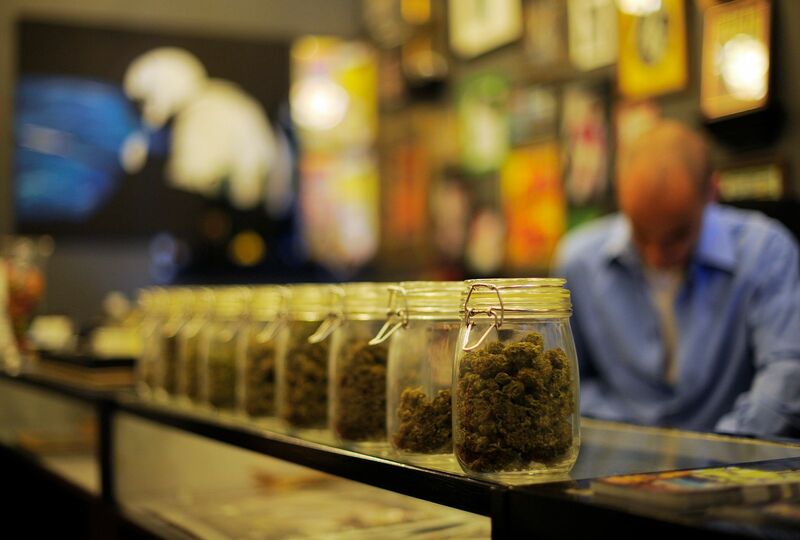 German Lopez: Do you think more states should take up marijuana decriminalization? Kevin Sabet: I absolutely think we should remove criminal penalties for use. I absolutely think we should not be penalizing someone with an arrest record so they can’t get job. But I don’t like the term decriminalization, because it’s used interchangeably with legalization — even sometimes by the president and often by the media. But I haven’t been able to come up with a better word. Maybe some other people will. A lot of drug policy can be better explained when we actually describe the policies versus putting a label on them. Sometimes putting the label on something means that two people who agree on something end up disagreeing. I’ve seen that with a term like “harm reduction,” which is terribly defined but can put people in conflict even when they agree with 80 percent of the policies. German Lopez: Whenever I write about decriminalization, I get a lot of emails asking me about the other costs of marijuana prohibition: how drug trafficking essentially funds violent criminal organizations, and the general costs to taxpayers for fighting the war on drugs. How do you address those issues without legalization? Kevin Sabet: Every drug policy has costs and benefits. Every drug policy has consequences we don’t like and issues we hope won’t come to pass. Prohibition has that. Decriminalization has that. Legalization has that. In my mind, I’m okay, frankly, with a relatively nonviolent underground market, which is what the marijuana market is — most people get marijuana from a friend or grow their own, so it’s very different from the other drug markets. I am more comfortable with 8 percent of Americans using marijuana (although I’d like to reduce that) from an underground market than I am with 55 percent of Americans using marijuana, half of which is from a legal market with companies like Philip Morris and half of which is still from an underground market. Either way, you’re still going to have an underground market with legalization, just like you do in Colorado now. The only reason we don’t have the underground market with alcohol is that alcohol has always been legal except for the decade of Prohibition. There really never was a robust underground market for alcohol like there is for all the illegal drugs now. When you look at cigarettes, there wasn’t an underground market until we started taxing it really highly. And now there’s a very robust underground market for cigarettes — something like 50 percent of the cigarettes consumed in the Bronx are from a quasi-illegal source. The underground market happens even under our best models in which we say we’ll tax it highly to pay for the problems. Even under legalization, there’s a black market. There will always be pros and cons. I just think it’s much worse for us to increase the percentage of people who are abusing and heavily using marijuana, which will happen under legalization, especially with widespread promotion. German Lopez: I think most people would agree that the underground marijuana market isn’t going to go away immediately. But it seems to me that it would go away over time as the legal market takes hold. Do you disagree? Kevin Sabet: I think if the government keeps the price low, you can imagine in four or five generations, or three or four generations maybe, the underground market would be substantially reduced. But then that means you’re making the barrier of entry into abusing marijuana really, really low, because you’re making it cheap. I just don’t know how society benefits from more people who are stoned. We use fancy terminology and all sorts of statistics, but at the end of the day people should look at it simply. Do people really think their relationships are enhanced when they have friends who are stoned all the time? Do they think their neighborhoods are enhanced by having marijuana stores near schools? Do they think their kids’ lives are enhanced when they’re exposed to the advertisements of marijuana candies and lollipops? You have to really think about the kind of society we want to make. Do we think our workforce is enhanced, our competitiveness is enhanced, if we have higher rates of marijuana use? I don’t think so. I don’t see why we would benefit from being a society that promotes the use of a drug that, at the end of the day, makes you unmotivated. German Lopez:You’ve talked in the past about making it easier for researchers and patients to access medical marijuana. What kind of things do you think should be done to accomplish that? Kevin Sabet: Like I’ve always said, we don’t need to smoke opium to get the effects of morphine. Similarly, we shouldn’t have to smoke marijuana to get its potential medical effects. 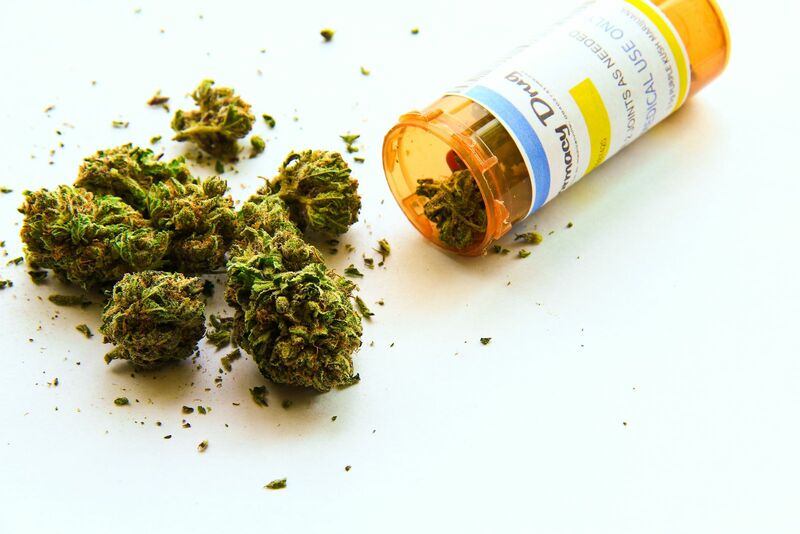 There are clearly some medical benefits for some people from the components in marijuana — in isolation or sometimes when taken together. The question is how we deliver that in the safest way, where there’s a lower potential for abuse. I think we need to do more research to answer that question. One way I would do that is for the government to fund research on this. Private industry is what funds a lot of our biomedical research, but private industry isn’t slamming on the doors of Congress to get marijuana rescheduled. But I would still say that the government could fund and incentivize researchers. We could get the Drug Enforcement Administration to relax some of the rules to get access to marijuana. German Lopez: Advocates largely see legalization as inevitable, polls show strong support for legalization, and more states are legalizing marijuana. As someone who’s trying to stop this, how do you view that? 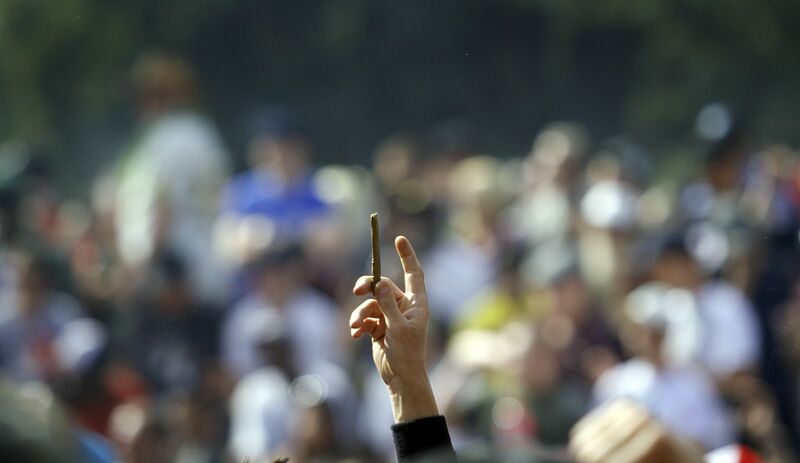 Kevin Sabet: Inevitability is the number-one talking point of the legalization movement. They’ve even started an organization with the sole purpose of distorting people’s perceptions of this and making it seem like everyone supports legalization, whether it is really true or not. That’s a really powerful talking point for them, because if people think something is inevitable, even if they’re against it, they’re likely to surrender it because it’s not worth their time to deal with it or fight. There’s no doubt that there’s some truth to the idea of momentum for legalization having grown over the past 10 years or so. But I think what goes up must also come down. I think these things come in cycles. In the 1970s, we had the exact same thing happen with support for legalization. Maybe not as much as we have now, but we did see a dramatic change from the 1950s to the 1970s — in the same way you’ve seen a change from the 1990s to the 2010s. And that reversed for all sorts of reasons after the 1970s. It might reverse this time, but it might not. The reason we formed SAM with the support of many medical organizations is to get the evidence out there on marijuana’s problems with mental illness, school performance, etc. And we want to warn the American people against promoting this new tobacco-like industry. That’s going to be relevant whether 40 states legalize next year or not. We’re going to keep talking about this. At the end of the day, I think the best way to stop Big Marijuana is to stop legalization entirely — and that is absolutely the goal that I have. But also, we don’t feel like if we lose a couple states it’s time to pack up and go home. We have a long view on this. German Lopez: There are groups that fight Big Tobacco to this day. Do you see SAM filling that role if legalization spreads? Kevin Sabet: There are all sorts of models, absolutely, that could work to stop Big Marijuana. But, again, I do think these things come in cycles. 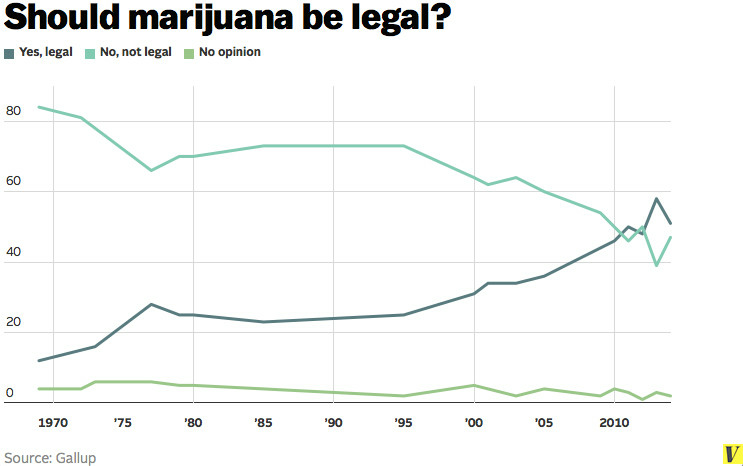 Unlike alcohol and tobacco, the vast majority of people don’t use marijuana. If marijuana is legalized in an environment in which the vast majority of people don’t use it, I think there’s always a chance for reversal. Alcohol is not going to be prohibited now, because so many people drink regularly and it’s been in our culture forever. Tobacco use is close to being eliminated in the US, but it’s still around abroad. Whereas with marijuana, you don’t have this global use that you do with alcohol and tobacco. There’s a very good chance that this is cyclical and this movement could be reversed. Again, the legalizers want people to think that if this doesn’t get reversed in a year, it’s time to pack up and go home.